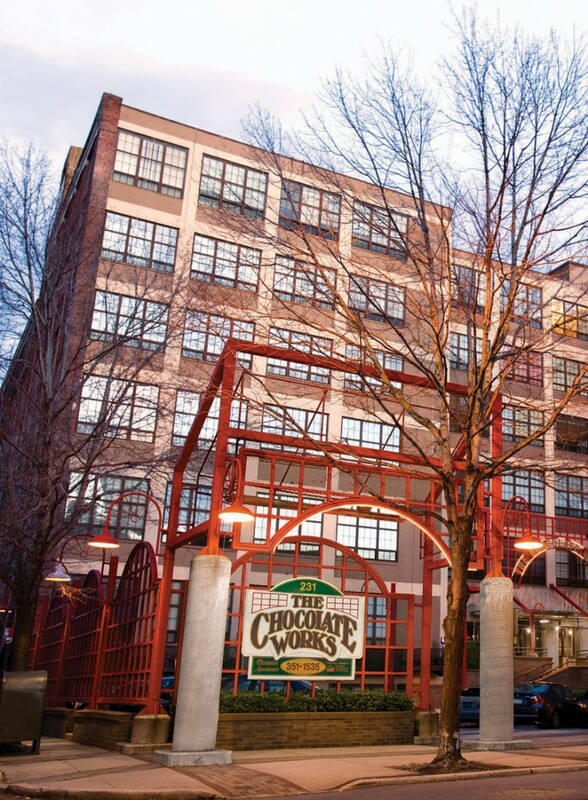 The Chocolate Works is a five-building complex of Old City Philadelphia apartments designed for an exceptional living experience. Originally home to the Wilbur Chocolate Company, the newly renovated 1-bedroom and 2-bedroom apartments preserve the architectural character and industrial details that capture Old City culture. You’ll love our Chocolate Works apartments, complete with exposed wood beams, oversized factory windows, stainless steel appliances, on-site parking, and spacious floor plans. These 1 and 2 bedroom Old City Philadelphia apartments center around an interior courtyard. The reclaimed Chocolate Works Philadelphia apartments are ideally located steps away from the cobblestone streets and unique shops that comprise Old City, Philadelphia. With sweeping views of the Delaware River, Benjamin Franklin Bridge, and the Philadelphia skyline, these apartments provide residents with distinct urban lifestyles.